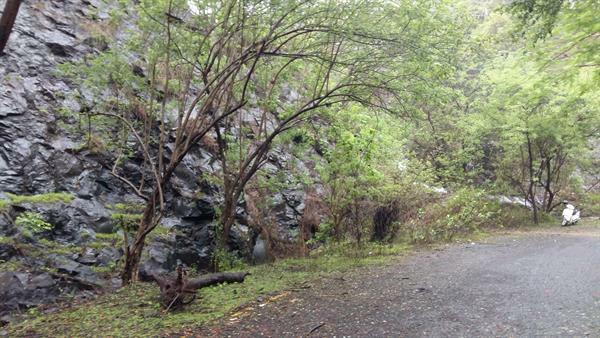 Wondering where to take a light monsoon trek in Navi Mumbai? 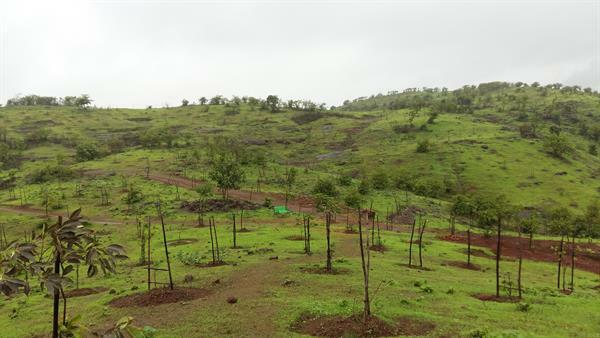 Searching for places to visit near Kharghar or simple and a long road to walk amidst the hills and greens? 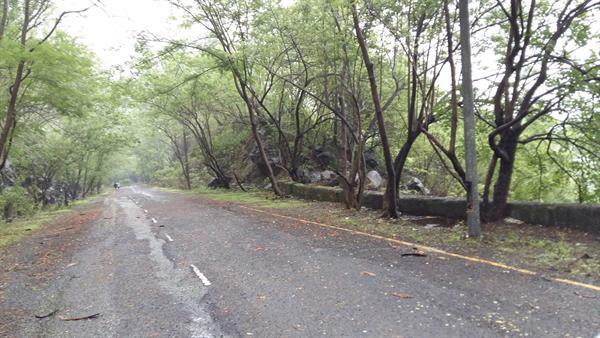 Then you will find an awesome location in Navi Mumbai, called the Kharghar Hills. In this article, you can read about the details of this location, how to reach and what to see there. 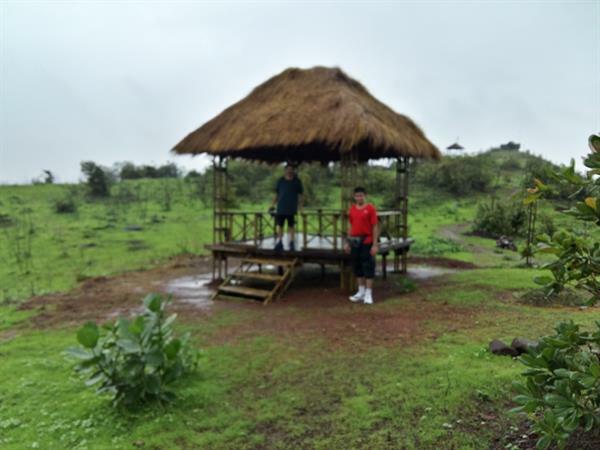 Read about our enjoyable experience in Kharghar hills Navi Mumbai and it may motivate you to take this awesome monsoon trek. Come monsoons and it is joy to enjoy the rains, getting wet, taking long walks and enjoying a dip under the chilling waterfall. Are you searching for a suitable locations? Check this article here. A place right in Navi Mumbai, but yet away from the hustle of the town into the hills is none less than Kharghar Hills. Kharghar is located in Navi Mumbai, the outskirts of Mumbai city and in Raigad district. Kharghar Hills is reachable from Kharghar railway station, on the Harbour Line, at a distance of 5 km. If you board the train from Chatrapati Shivaji Terminus (CST), the southernmost station, it takes 65 minutes to reach Kharghar. You can also take NMMT from various parts of Navi Mumbai or BEST buses from Borivali, Sion, Chembur, Dadar , Ghatkopar to reach Kharghar. If you have a four wheeler, then you can reach Kharghar from all parts of Mumbai and Navi Mumbai. You can drive from the Eastern Expressway or Santa Cruz-Chembur Link Road or Palm Beach Road or from the Mumbai-Pune Expressway or Mumbai-Goa highway. Once you reach CBD Belapur circle on the Mumbai-Pune highway, you take the first left and get into CBD. A little further at the circle take a right and go past the local market till you are under the Metro line which is still under construction. At about one km on your right, you will come across the CBD gate, with a board showing Kharghar Hills. Because of landslides, the hills are closed for vehicles and even people are not allowed after 8 am until evening. So the locals take a walk in early morning and evening. Navi Mumbai and Kharghar Hills was constructed, developed and maintained by the City and Industrial Development Corporation of Maharashtra (CIDCO). Kharghar Hills is a lush green set of hillocks embracing the residential and commercial segments of Navi Mumbai. They give a look and feel of a hill station especially in the monsoons making it an attractive trekking and hiking location. It is a haven for adventure , nature and bird lovers and a good early morning picnic spot. A few years ago Kharghar Hills was a little difficult to access but a two lane tar road is built from the CIDCO gate base to a small village Fanaswadi. The place has now become a favourite among visitors. You may come across a few small villages on the trek. Morning or evening walks and jogs: Typically locals take morning and evening walks or run on the long winding roads in these hills. If you are practising for the Marathons then this is an apt place. Trek or hike: Visitors can trek all the way to Fanaswadi, the last village where the road ends. From there on your left, you can see benches and viewpoint on the top of the hill. These are maintained by the Forest Department. Start the climb, it takes about 20 minutes. You will reach the top of the hill, and believe me: this is one of the most wonderful views of your lifetime. On all your sides you will see the lush green hilltops, and a little farther beyond the hills and below: tall buildings of the Kharghar, Nerul , Turbhe and other parts of Navi Mumbai. The view is breathtaking! Dip in the Waterfall: If it rains heavily, then you will find small rivulets gushing down water from the stone peaks along the way. 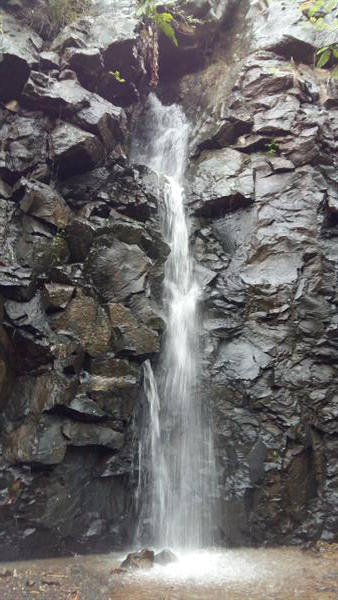 There is one big waterfall, and you can enjoy sitting and getting wet in the fast flowing water. Selfies to your heart's content: The hillsides, the view below from various angles, the view of the other hills, the village are all idyllic selfie backgrounds. Take selfies and post on Whatsapp, facebook, Instagram and other social media. Forest Department viewpoint: enjoy a picnic on the hilltop on the few benches with wooden roof viewpoints. These looked very new and were recently built. Walk in the woods: halfway in the climb you can take a straight mud pathway, a slight climb to the adjacent hills. Soon you will be among the woods and see some other parts of Navi Mumbai below. Overall the place is worth a picnic for a half day with family or friends. It is about the greens, hills, nature and the birds. Carry some food, and water, there is nothing at this place or on the way to this place. You can spend an hour or so and enjoy your packed breakfast. If it is raining heavily the shade is not enough and you will enjoy the rains falling on your back and face. Be careful to wear clothes in which the water drips off, carry a plastic bag fro your mobile and wallet. If you are using spectacles then carry a plastic cap which can shade the spectacles and you will have fine vision. I have 3 point progressive numbers and found it a little difficult in the climb and enjoying the view. Also, carry a change of clothes with you else you will have to travel wet and may catch a cold. 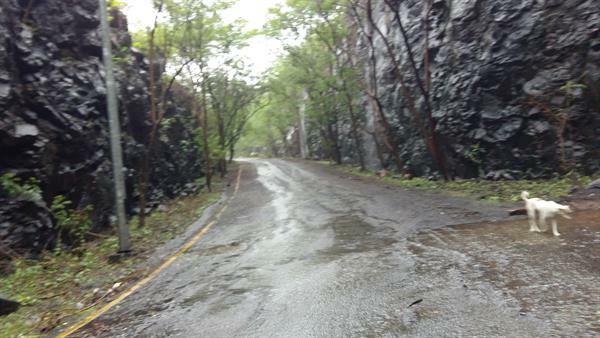 For us, this trek was a place to prepare for the upcoming IDBI Mumbai Half Marathon. We found it easy to walk uphill, at a gradual pace a total distance of 6 km one way. While writing this article in the evening, I am fresh, rejuvenated with the fresh clean air from the hills. I was worried that the long 12 km trek will be tiring and legs will give away in the evening. But I am glad it did not happen. Within a few weeks when the monsoon is in full swing, we are going to trek to this awesome Kharghar hills once more, no doubt about that! To sum up: I enjoyed the awesome monsoon trek to Kharghar Hills, and will recommend it to you all if you have a penchant for nature, love to walk or run and want to bird watch. Hey is it possible to camp there overnight? If so, will I have to get any permission?